Who’s Afraid Of A Libertarian? 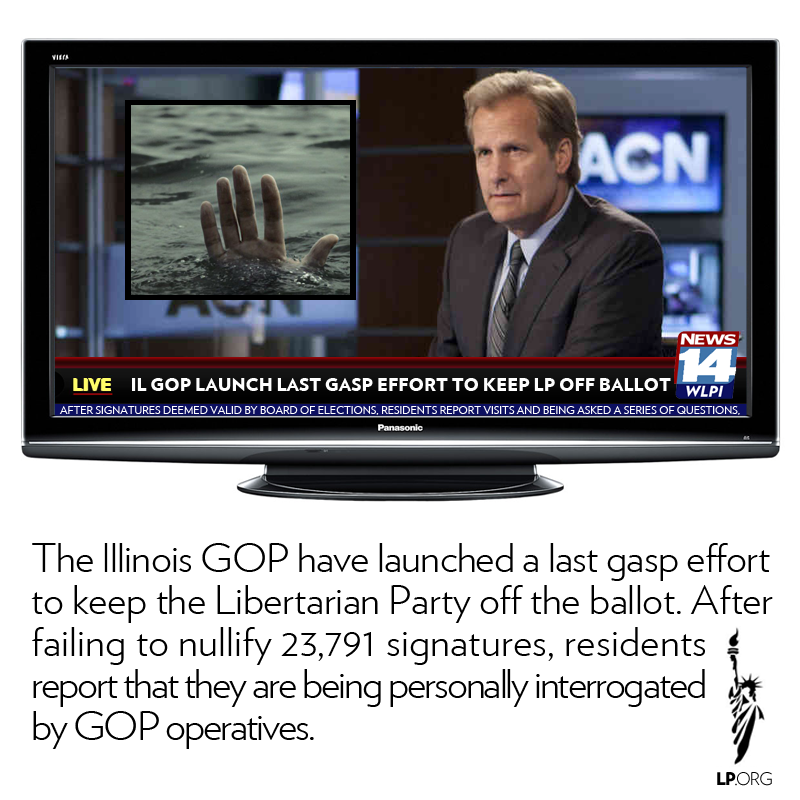 The Illinois Republican machine has gone all Jim Crow with their phobia of Libertarian competition on the ballot. 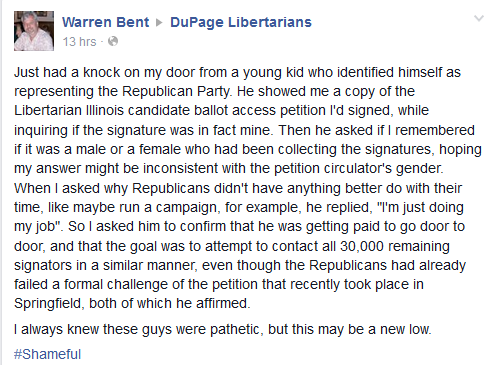 They are now engaging in voter intimidation.